I always knew my mother was a drug user, but I thought it was light drugs just some cannabis at the weekend etc. Turns out she smokes heroin. I found this out about 2 months ago when she gave me a loan of a bag and the stuff you use to smoke it was in the bag. I didn't even know what it was at first, but I knew it was drug related. Anyway, since I've found this stuff and realised what's going on I don't know how I didn't see sooner. I've seen her sneak off up to 6/7 times a day for a hit and how she thinks i wouldn't notice is beyond me. I'm so worried about her, but I don't know where to start. I was taken out my mum's care at the age of 10 I am now turning twenty in 2 months and have only been briefly in contact with her since the birth of my brother 3 years ago so we aren't exactly what you would call close. I feel awkward around her at the best of times, I'm quite a shy and anxious girl, so I'm really struggling with trying to approach the issue. I don't have a clue what a heroin addiction is like or what someone must be going through to feel that low in their life to take such a drug. I know she had a hard time loosing me and my brother and loosing another kid would completely send her off the rails. I know reporting her to social service and for drug counseling is the right thing to do. If anyone else was in this position i'd tell them that, but when your in the position yourself it's a totally different story. I'm scared, sad, anxious, nervous, worried. How do i talk to her about this she doesn't even know I know. I'd really appreciate someone who has battled this addiction themselves to have a chat with me I want to know what she's going through and what the process is going to be in order for her to kick the habit. AL-anon is a great resource for support and answers about addiction. You're in a very difficult spot because you want to help your mother, but you also need to protect your siblings from harm. I agree with you that there are no easy answers for your family and you are caught between doing what you think is right for your mom and allowing her to keep hiding her addiction from the world. I recommend that you begin going to Al-anon meetings in your area to find people who can give you answers about heroin addiction and support you during this difficult time. 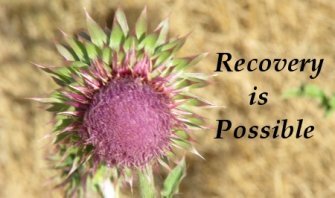 The purpose of Al-anon is to confidentially support families who are struggling with addiction. They will help you decide the best course of action for you but won't force you to do anything.